What do you do when you want a really cute pair of jeans and all you have to fit are jeans that are too short and have little style? Jazz them and lengthen them at the same time. This tutorial is actually a two for one. 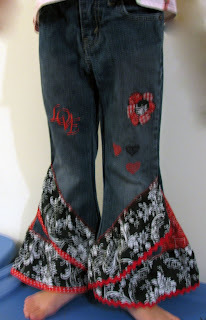 We're showing you how to bell bottom a pair of jeans first, then how to jazz them up with some fun ruffles. 1. 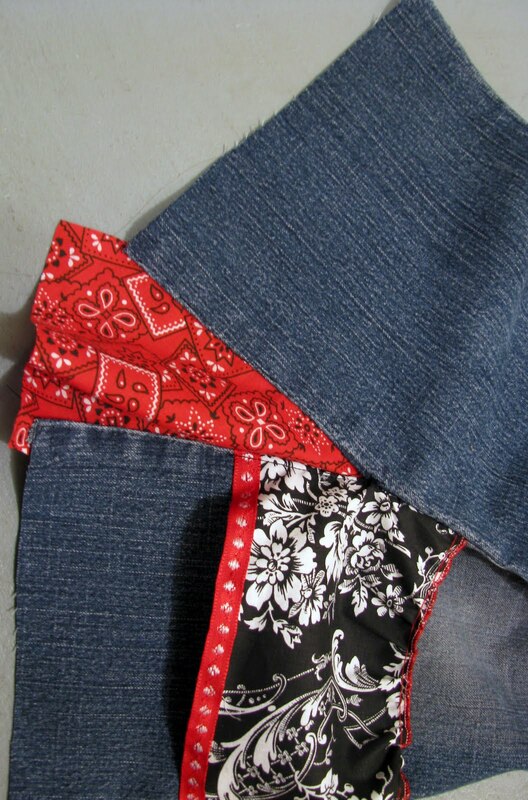 Deconstruct the outseam up as far as you'd like the triangle, plus 3" for the ruffle. 2. Deconstruct the inseam (optional) for applique placement. Cut the pants to length - 3 1/2" for the ruffle. 4. Lightly gather one edge of the ruffle. 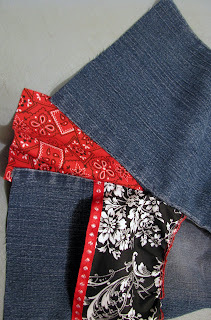 Use the highlighted gathering tutorial to gather without thread pulling or an attachment. 5. 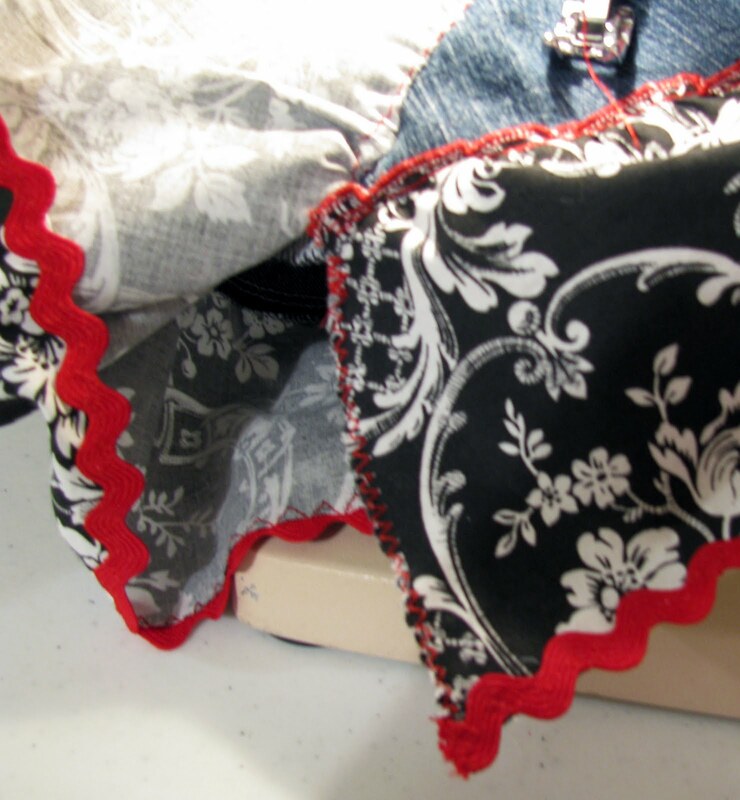 Lay fabric scrap under outseam and cut an appropriately sized triangle. 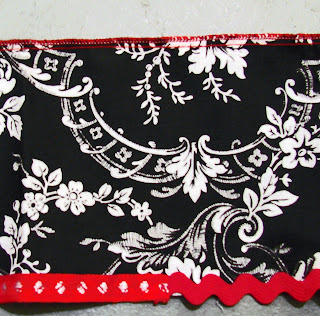 Leave 3" open seam space at the top for the ruffle. You can add trims into the triangle panel also. 6. 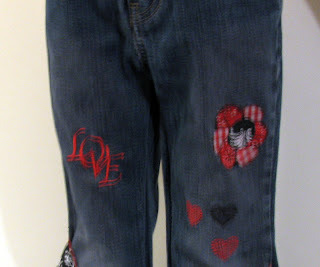 Add applique if desired. 6. 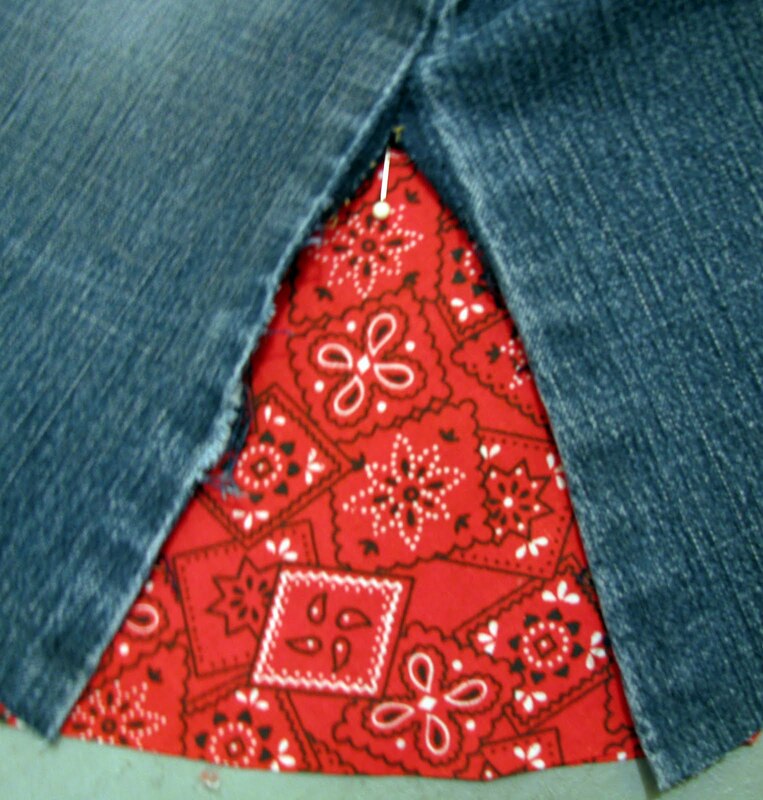 Sew up back side of triangle by topstitching on the right side of the pant. 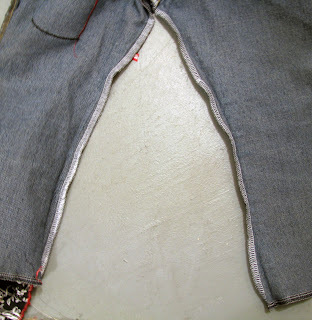 If you are not ruffling, simply finish topstitching in the triangle and add trim or hem the pant bottom to finish. 7. 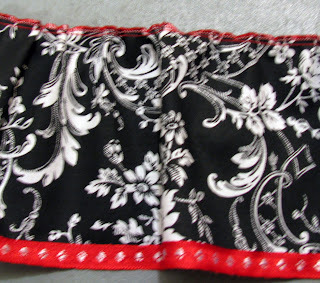 Lay ruffle in the front side triangle seam. 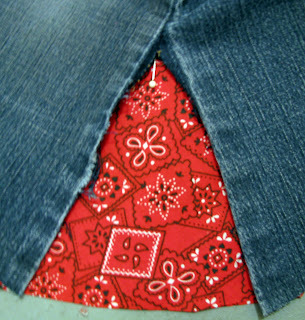 Sew up front side of the triangle by topstitching to the top triangle point. 8. Finish closing the outseam/ruffle from the inside of the pant leg. 9. Repeat for the other leg. 10. 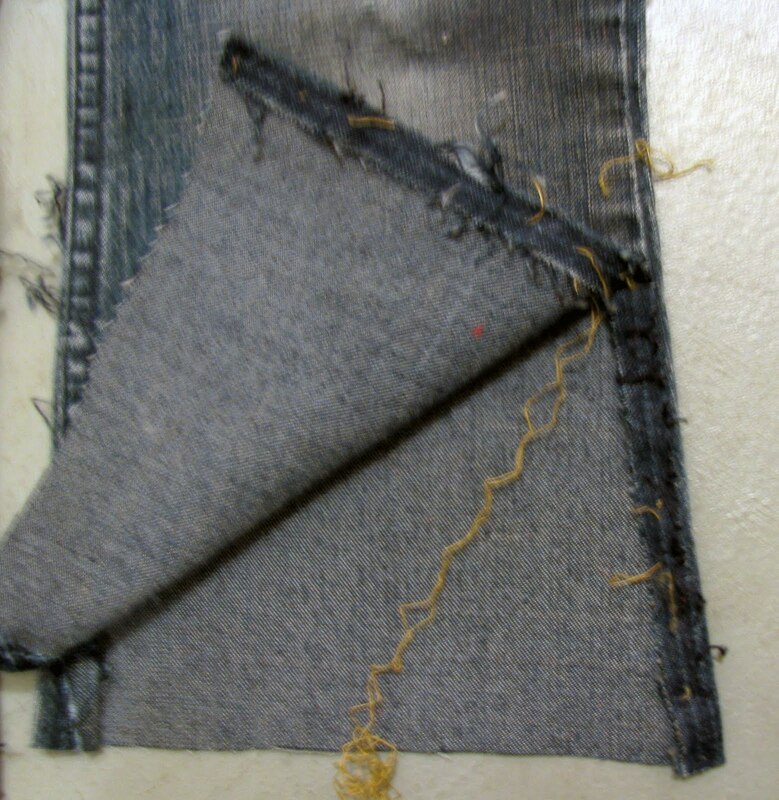 Sew the inseam all the way around. 11. 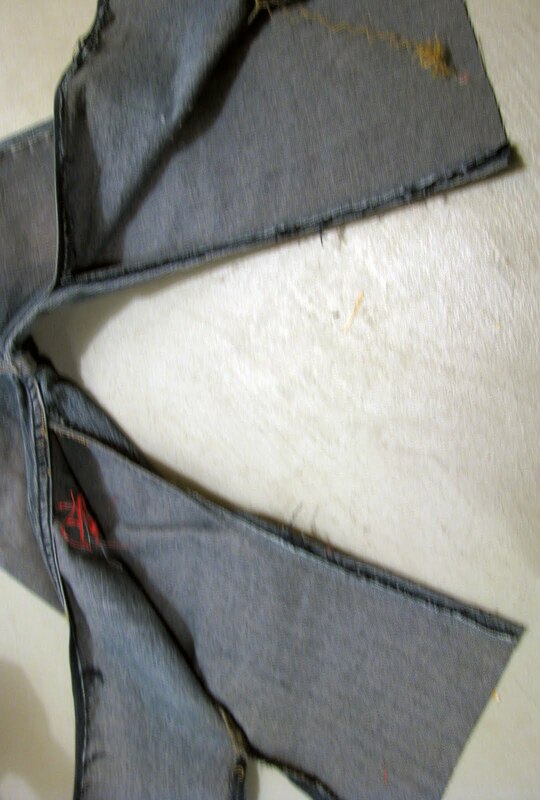 Zigzag finish bottom leg edge to prevent fraying. 11. 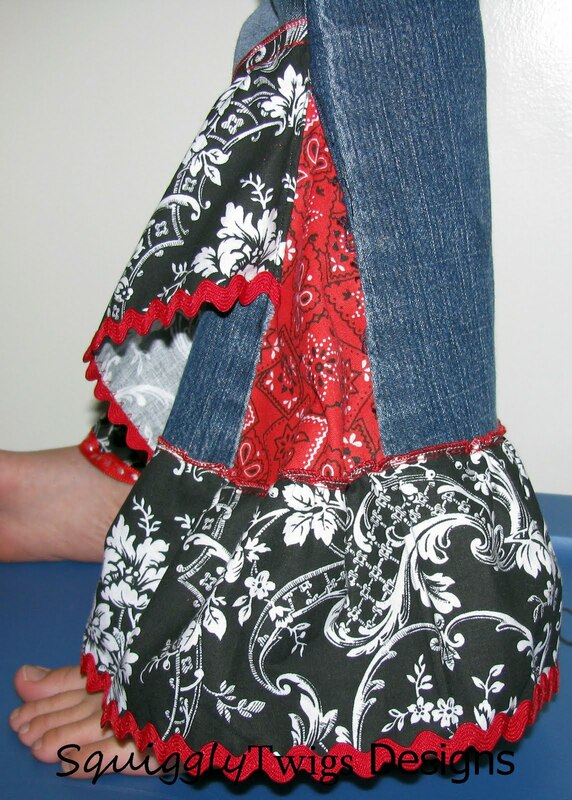 Stitch ruffle onto legs. 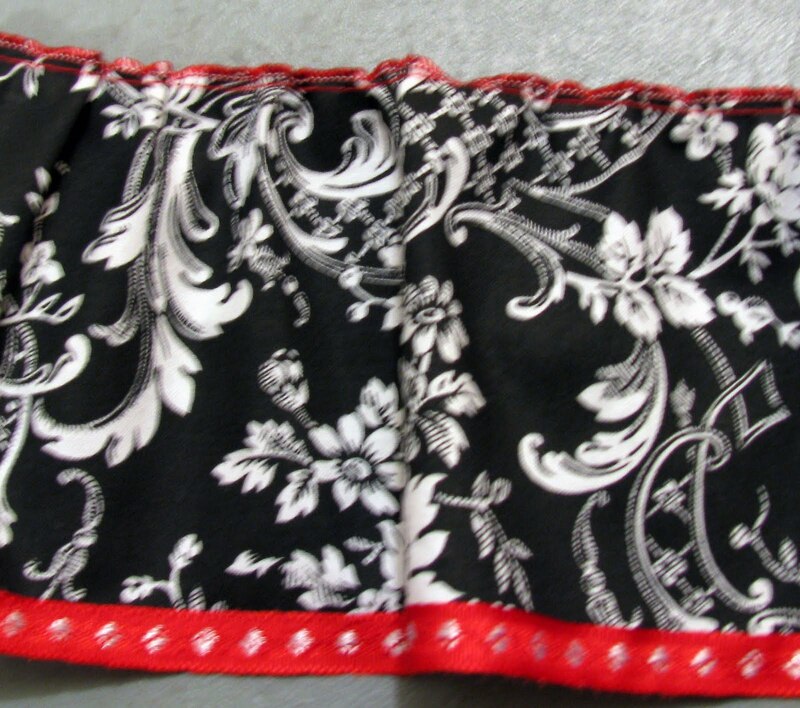 Angle ruffle from outseam down to bottom edge of pant and then around the bottom edge. 12. Cut any excess ruffle and finish the raw edge of the ruffle to prevent fraying. Hide cut edge of ruffle under the overlapping ruffle and tack them together at the bottom of the ruffle. 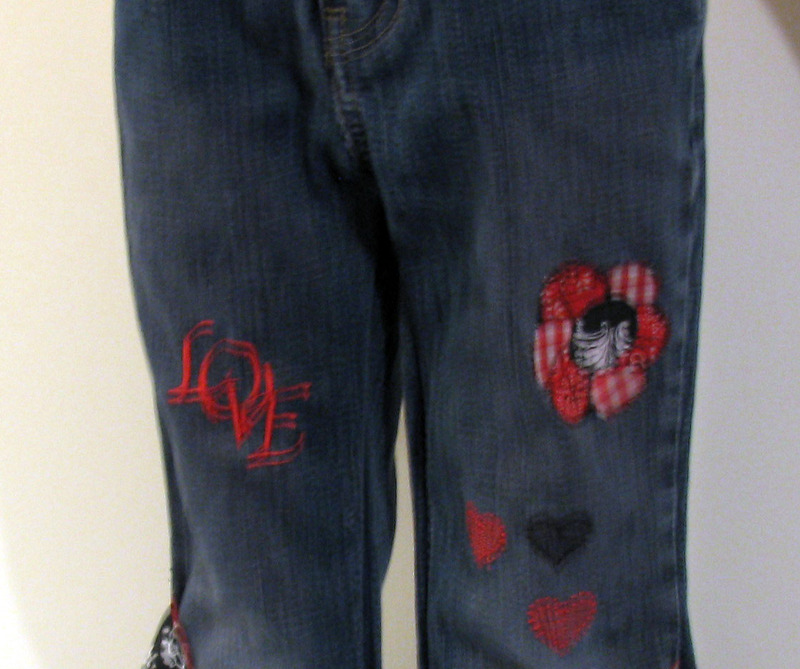 Finished pants with boutique flair. Please share your boutique creations with us in our flickr group. You'll find flickr group directions in the left-hand margin. 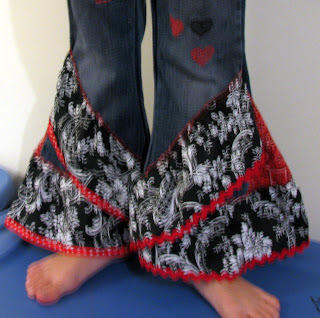 Use this tutorial to create bell bottoms or to add a unique ruffle to a pair of simple pants. Most of all have fun and be creative. Fun tutorial! Thanks for sharing it! Cute! My kids are always outgrowing the length of their pants before their waistsizes. Great idea to get more use out of the clothing items! 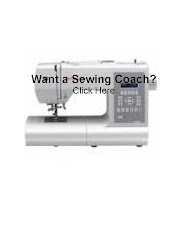 Just found your tutorial via google and craft gossip. This is awesome and exactly what I was looking for. Thanks for posting. Glad to have found your blog.